The CESBA actors took home great experiences of their three days in Brussels and learnt that for a further advancement of CESBA, it is important to directly talk to possible partners and to share concrete ideas. CESBA Conference at European Sustainable Energy Week - be a part! On the 29.01.2015 a workshop was held in Vorarlberg, Austria on sustainable and authentic building in tourism. The target was to find harmonisation and syneriges of benefits for owners, users and society in the field of society, economy and ecology. All result booklets of CABEE can be downloaded from the CESBA wiki. To view a booklet, just click on the respective image in the right column. 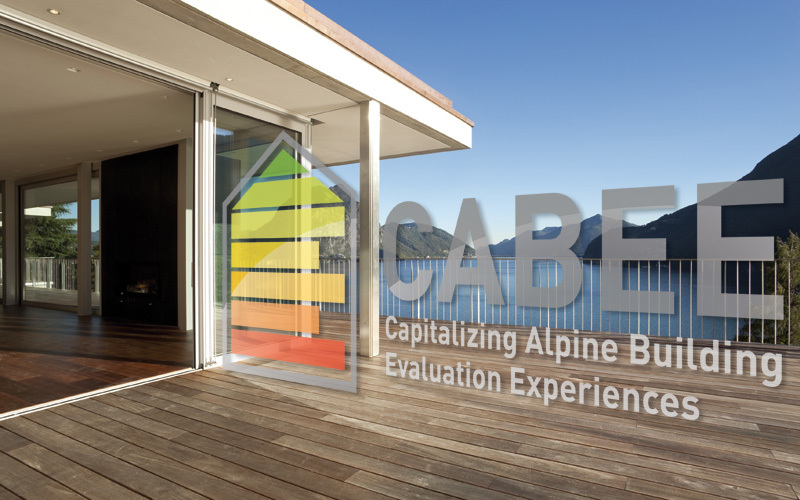 CABEE capitalizes wisdom from finished and ongoing EU-projects but also projects from the Alpine Space program. It focuses on a mass oriented approach with low entry barriers and an on-going Open-Source support. Pilot activities are settled on public tendering, user behaviour and a toward 100% eco-assessment approach. The integration of micro smart energy grids is explored. Furthermore, markets for NZEBs are prepared, especially in cooperation with public authorities and SMEs. On the regional level “Regional Operation Committees” will be established which are supported by a transnational sustainable network of experts. A public transnational conference concentrates on and spreads out existing knowledge.